In a wide-ranging discussion at the TechCrunch Disrupt New York event (May 5th-7th), Oculus VR CEO Brendan Iribe has spoken about why the company the Facebook acquisition was a good thing, and has described a desire expressed without both companies to make VR a social experience for a billion users, perhaps in the form of a MMO. The discussion – described as a “fireside chat” with TechCrunch co-editor Matthew Panzarino – is available as a video in a Techcrunch article. It was followed by a backstage interview with TechCrunch’s Josh Constine. in discussing the attractiveness of the deal for Oculus VR, Iribe indicates that one major consideration was the fact that the company was offered the opportunity to more-or-less continue to operate fairly independently of Facebook, a-la Instagram. Another was that Facebook were prepared to provide Oculus with access to their enormous technical capabilities and services, while offering Oculus the ability to practically cherry-pick which of them they’d like to leverage. We know with Oculus, with a virtual world, if you’re putting on this pair of glasses and you’re going to be face-to-face communicating with people, you’re gonna be jumping in and out of this new set of virtual worlds, this is gonna be the largest MMO ever made. This is going to be an MMO where we want to put a billion people in VR. And a billion person virtual world MMO is going to require a bigger network than exists today. Why not start with Facebook and their infrastructure, and their team and their talent that they’ve built up? While this is not a short-term goal – the figure of around ten to twenty years is mentioned when discussing how this will all come about. Iribe also notes that there has to be something of a further upscaling of computing power in order to make it all happen, as well as the technology needing to become less cumbersome and intrusive and more readily acceptable and wearable. He suggests it should look more like a set of sunglasses – a direction several VR companies are already heading in. Exactly how this billion-user environment will come about and what form it will take is unclear. Towards the end of the video, Iribe wisely points-out that VR is still in its infancy, and that it’s hard to predict precisely where it will lead or the impact it will have. However, it seems from his comments that the “MMO / Metaverse” Oculus VR are considering isn’t a single platform (although they see Facebook’s users and network as a good starting-point, as mentioned), but potentially a range of interconnected worlds / environments. An interesting aspect of the discussion around the MMO / Metaverse concept is that Iribe in some respects echoes much of the work that is going on at High Fidelity. He mentions that one of the attractions Facebook held for Oculus was that it already operates a complex payment system (worth around $3 billion in revenue), which negates the need for Oculus to have to develop one – a problem High Fidelity is still mulling over. More particularly, at some 12 minutes into the video, he describes the working going on at Valve in terms of development avatars and projects this work into the future where he sees avatars have head tracking capabilities, can mimic facial expressions and carry people into the Uncanny Valley – a path High Fidelity are already walking, and would appear to be a good deal further along. In the backstage interview with Josh Constine (embedded below), Iribe also talks about issues of trust and identity security, and having the confidence that as you move between apps and environments, you maintain control of what aspects of your identity are exposed. This is another issue which has very much been at the forefront of High Fidelity’s thinking with regards to a metaverse of virtual worlds. Towards the end of the discussion, Iribe mentions the fact that Oculus VR are now starting to work more closely with the education sector in a drive to expand the whole VR ecosystem. Sometimes it is good to look back at where we came from, so we can see how far we have come. 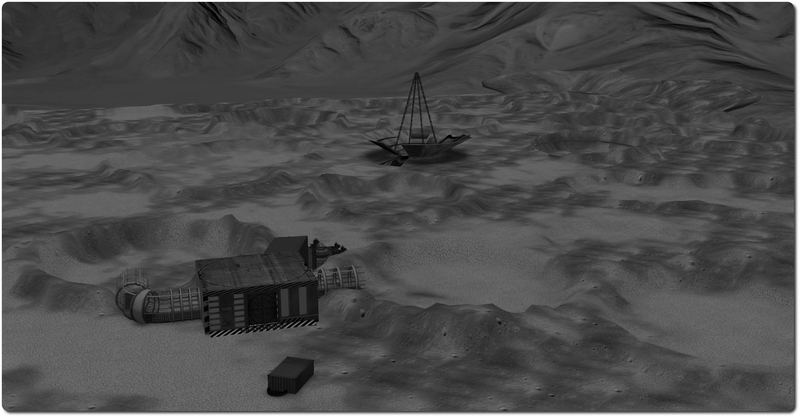 A long, long, long, long, long time ago, where we live now looked much like our Moon. So as we look back at the start of the flame this year, let’s do it under the stars on a landscape just waiting to come to life. The BURN2 team go on to extend an open invitation to artists and builders to apply for a place on the cratered playa, a reflection of this image of a young and new Earth, and create a vision of the past or the present or the future and help to bring the barren landscape to life. Those wishing to participate in BURN2: Conception, are invited to read the Builder’s Guidelines and then, complete the application form. All applications my be submitted no later than Friday May 16th, 2014. 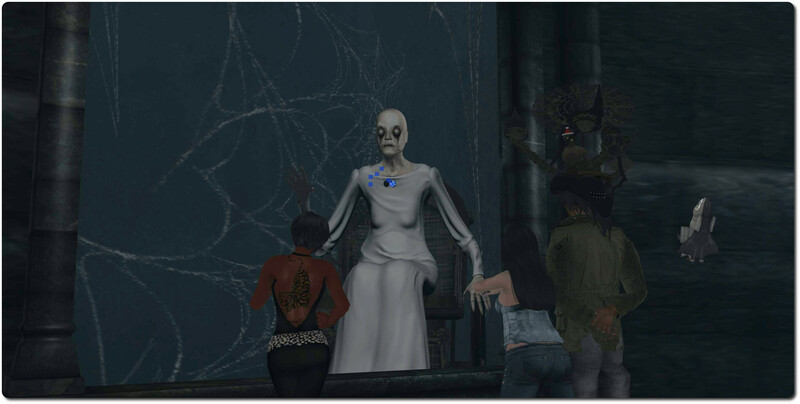 There are probably very few people in SL who have not heard of MadPea; they’ve been responsible for some of the most engaging and interactive games, hunts and gachas in Second Life. I’ve covered some of their work in these pages, notably their magnificent Room 326, (which continued through their Mad City installation on Da Vinci Isle), and their fiendishly fun Carneval. The team have also been featured in an edition of The Drax Files. For most of the past year, the team has been focused on their next major undertaking, an immersive, interactive HUD-based game called UNIA, which is spread across two regions and is – I can say with some authority, having been taken on a guided tour of the installation by MadPea’s leader, Kiana “Queen Pea” Writer and development team member (and good friend) RAG Randt – utterly stunning and completely involving. I don’t want to give too much away as to the plot, but suffice it to say, it is part horror story (or nightmare story, given its origins), part puzzle solving, part mystery, and more. 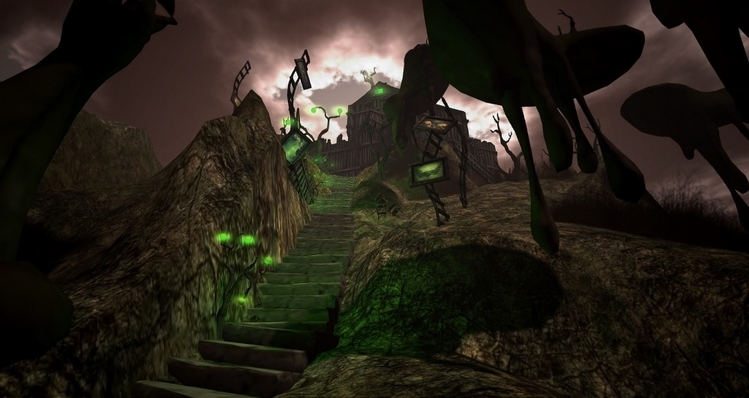 Players will be able to engage in the game either individual or work in co-operation with others (or even both, depending upon how events unfold), and will interact with creatures, NPCs and things not normally of this world as they attempt to resolve what is going on and discover the truth. From the moment someone arrives in the little town of Molimo, they are in for one hell of a time (literally and figuratively! ), in a game which features settings designed by the likes of Bryn Oh, Rebeca Bashly, BlueSean Yiyuan and Silex Zapedzki, and Jaimy Hancroft, as well as the MadPea team themselves, with huge amounts of dedicated scripting by the team and purpose-built animations from Abranimations. The reason the game has taken so long to develop is that it really pushing the envelope within Second Life in terms of capabilities and gaming mechanism, and even now, Kiana and the team estimate there is still around two or three months work required in order to bring UNIA to life. However, a major spanner was thrown into the works fairly early on in the scheme of things. As the game was being developed, so MadPea lost their sponsor. Developing something as immersive and involving as UNIA doesn’t come cheap: the cost of the two regions on which it is set runs to $731.60 a month (incl. VAT at 24%, levied as a result of Kiana’s real-life location in Finland). The team have been able to offset some of the costs through other ventures and activities – including running additional hunts and gacha fairs, and well as via donations through Mad City. The problem here is, of course that time spent on developing hunts, etc., is time taken away from UNIA, slowing down its completion. Also, Mad City is set to close at the end of May 2014. 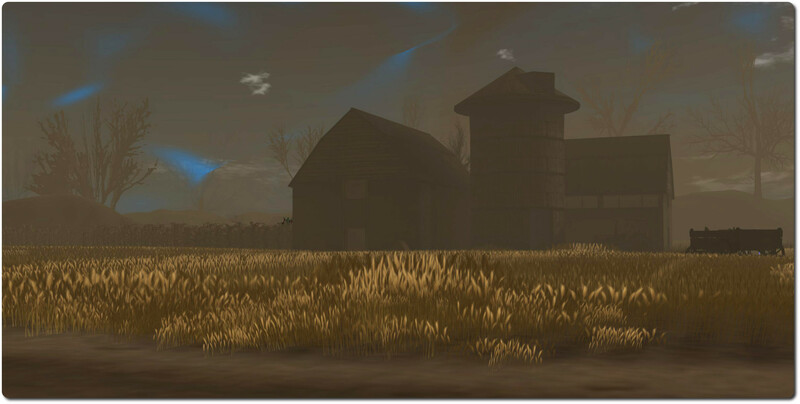 In order to try to keep things going, MadPea launched a fundraiser at the start of May, hoping to encourage SL users and their patrons to help contribute to bringing UNIA to life. The funding effort is being run via GoFundMe, and aims to raise $4,389.00 for the development and upkeep of the game, with some $1,500 of that target having been achieved at the time of writing. People are free to donate whatever they are comfortable with giving, but pay $50.00 and you’ll receive an exclusive UNIA outfit for your avatar; pay $500, and you’ll receive an exclusive tour of UNIA by Kiana, early access to the game, a free HUD, weapons and outfits. Having spent two hours in UNIA with Kiana and RAG, I can say that this is something that could be very unique in SL, and offer an astonishing level of immersion and engagement. 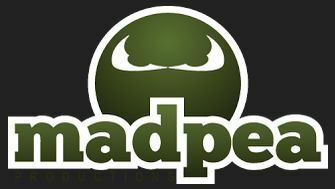 If you’ve experienced past MadPea activities and events, you’ll know just how inventive and imaginative they can be. So why not hop over to the funding page and offer a payment? In doing so, you’ll be helping to open the door to even more fun you can enjoy.